To help understand how systemic enzymes can help in the inflammatory process, I’ll describe the inflammatory scenario and provide some key definitions. First, there’s an antigen which is a substance that triggers an immune response. An antigen can be an environmental foreign substance (e.g., chemicals, bacteria, fungi, viruses, parasites, pollen) or formed within the body (e.g., bacterial toxins or tissue cells). If the body mistakenly perceives healthy tissue to be a harmful substance, an autoimmune disorder can develop. Antigens cause your immune system to produce antibodies (proteins) to defend specifically against them. Each type of antibody is unique and defends the body against one specific type of antigen. When the antibody binds to an antigen, an immune complex forms. If the immune complex pathologically deposits in tissues or organs, it may result in an out of control inflammatory response which can lead to tissue destruction. When immune complexes deposit in tissues, a fibrin mantle (blood clotting protein) is formed around the complexes. While this is the body’s attempt to isolate the problem area, it unfortunately limits the body’s other natural defenses to reach the immune complexes and degrade them. Immune complex deposition is a prominent feature of many autoimmune diseases (when your body attacks itself) such as rheumatoid arthritis, mixed connective tissue disease, Systemic Lupus Erythematosus, Sjögren’s syndrome, Crohn’s disease, Diabetes type 1, to name a few. Some enzymes are able to remove circulating immune complexes (in the bloodstream) BEFORE they get deposited into tissues and cause bigger problems that may lead to tissue inflammation. Other enzymes may help with pain and inflammation AFTER immune complexes get deposited into tissues. Proteolytic enzymes do this by clearing away the fibrin mantle at the site of injury and allowing members of the immune system to “move in” and do their jobs. This allows the macrophages (type of white blood cells) to access the injured areas to ingest and clear away the breakdown products through the lymphatic system. 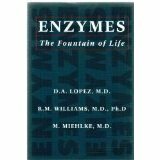 Enzymes can break the cycle of the destructive inflammatory response and halt further tissue deterioration, allowing the body to go into a healing mode. When the stressors are removed, the body can begin to heal and recover. Certain proteolytic enzymes also induce the release of beneficial mediators integral for a healthy inflammatory response. For example, enzymes like Nattokinase and Serratiopeptidase support healthy circulation, an important part of the healing process. Proteolytic enzymes interrupt the vicious cycle of chronic inflammation and associated pain, found in arthritis and autoimmune disorders. A chronic state of inflammation and tissue destruction occurs when the inflammatory process goes awry and doesn’t shut off, and the immune system doesn’t function properly. Not only can pain from chronic inflammation be very debilitating, this unhealthy cycle also diverts much of the body’s resources from other normal healthy functions.